Aldo is 28 years old. He has been for 300 years. He has seen the people he loved die; worse, he’s seen them fade. He tries to get by somehow. Despite living 300 years, Aldo has no social skills. He’s never really understood people. He much prefers things, like his stunning Alfa-Romeo. He spends his time with his friend Oscar’s bulldog, Gustav. Gustav is good company, even though he isn’t very bright. Aldo goes through the motions of his humdrum existence until one day he sees a man on television who he remembers meeting in the 1800s. Is he a fellow immortal? Will finding this man give Aldo the answers about his life he has been seeking? Aldo is the kind of book that needs to be read twice for you to really grasp it. 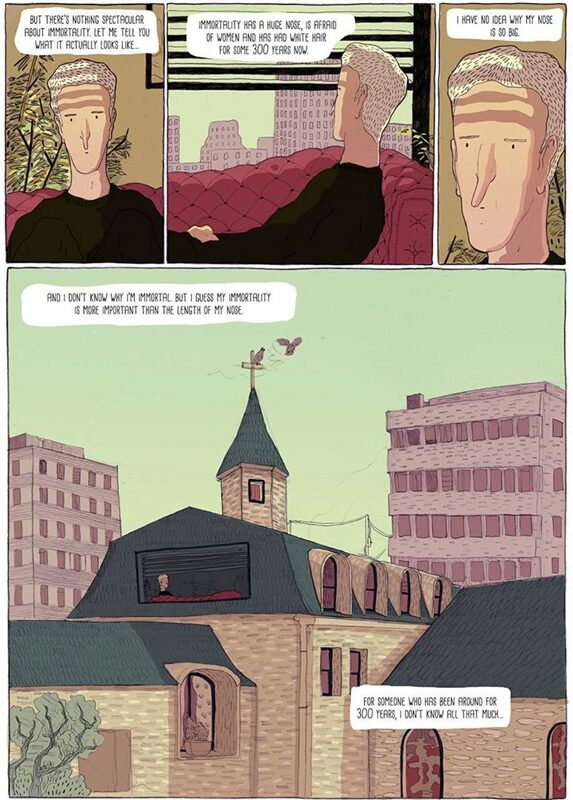 At first, I was unsure of what the denouement meant because I was so engrossed in the story that I missed the subtle hints that creator Yannick Pelegrin had included to explain the story. It is only when reading it a second time that one gets the nuances and manages to put the clues together to understand what Aldo’s situation really is. That is when I realised that this is a melancholic story, not a fantastical one. 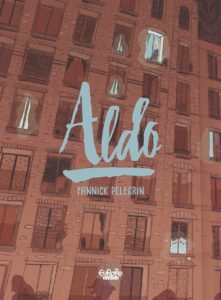 Aldo is less of a story of an immortal man and more an examination of the effects of losing a loved one. Through the eyes of the immortal protagonist, the writer posits a new way of looking at survivor’s guilt, which I found fascinating. As a protagonist, Aldo is surprisingly endearing. He’s an everyman, but his circumstances are unusual. As he says right at the beginning of the book, stories of immortals always make their lives seem so “spectacular.” In actuality, nothing much happens, or changes. You live your life, just a little longer, and so much sadder. Of course, there is a reason why Aldo feels this way, one that you need to wait till the end of the book to understand. I cannot stress how important it is to read the book a second time if you want to understand what Pelegrin is getting at. It makes Aldo’s immortality that much more poignant. The art plays a huge part in this tale, more than just as an accompaniment to the story. 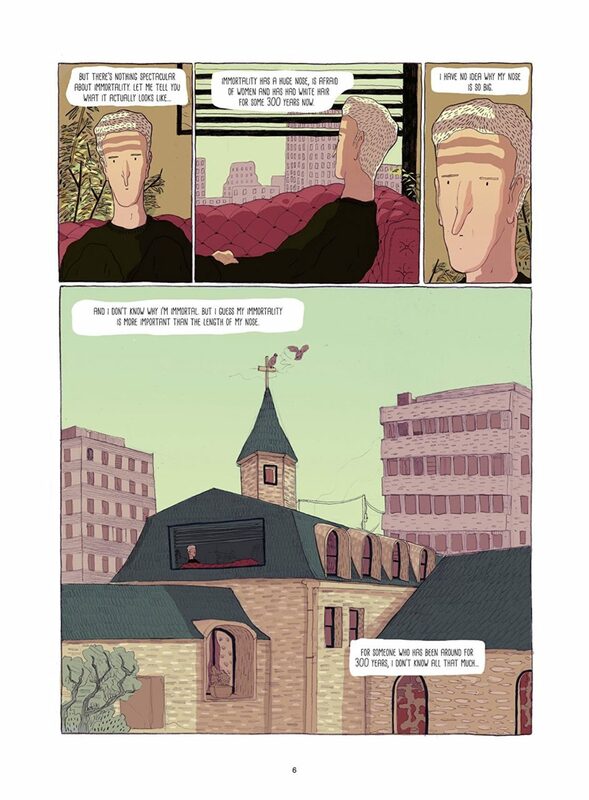 Aldo can often be an unreliable narrator—he has to if he wants people to believe him—but you need to pay attention to the panels of art to understand what the truth is. I also love how Pelegrin plays with the layout of the page. He frequently divides the page into neat squares, but the content of the panels spills across through the divisions between them. It’s a style that makes the page look like an Instagram feed—whether that was the purpose, I’m unsure, but it’s beautiful to look at. I was initially unsure about the whimsical features of the characters—long faces and noses with disproportionately small eyes and mouths—but it works in the context of this story. This isn’t a straightforward story, so why should the art be realistic? I also love how Aldo is aware of his overly long nose, which he talks about in a fourth-wall break disguised as an in-story discussion with his therapist. It’s also a visual cue that plays an important part in the story so keep your eye on the noses you encounter. Pelegrin uses a muted palette for his colour scheme, with a focus on pastel shades—lots of yellows and reds and greens—which adds to the whimsy and melancholy of the story. The landscapes are beautiful and the few double-page spreads in this book will have you enraptured. 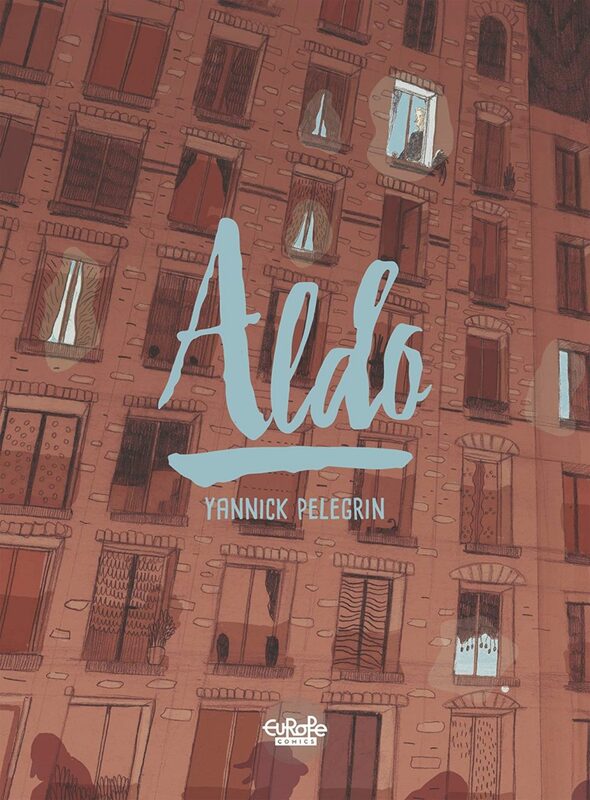 Of course, look out for the various visual details that act as clues about Aldo’s circumstances. 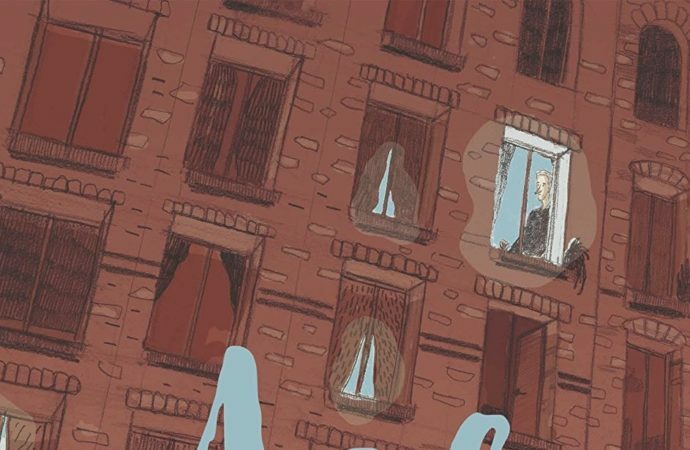 Aldo is a beautiful, yet sad tale that will enthrall you and make you want to read it over and over again. With its beautiful art and wholesome protagonist, this is a story that you will want to not just have on your shelf but share with everyone around you.